The helplessness of watching something like this happen is beyond words, but this post is an effort in some small way to express my gratitude to all of you who have made me feel less lost and more humbled. Please keep Ralph and Midge Lindblom, the owners of the barn, in your prayers as they feel for the loss of not just their own horses, but for all the horses under their care. For those of us who feel that the next generation is lost, Mackenzie Mullis was one of the first to help me care for the remaining five horses and show me the meaning of grace, even while dealing with the loss of her beloved Total Recall. Rich and Geri Mullis have kindly taken us in and, for the moment, we will be working horses there. 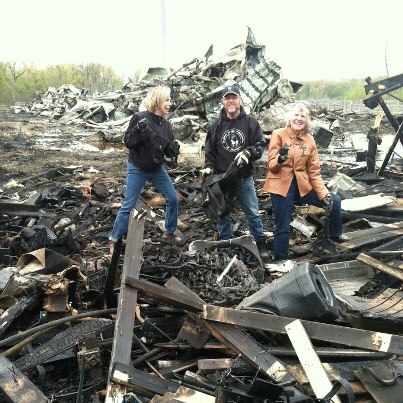 Jim Kellogg and Doreen Anderson are helping me coordinate the logistics of rebuilding the stable and the lost supplies and equipment. Please accept my thanks for the uncountable kindnesses that I have been shown and be assured that I will attempt to pass that along in kind. Life has shown itself to be amazingly cruel, but thanks to all of you, unbelievably kind. We decided this should be titled "Some people just don't know when to quit". The bit wall and show bridles were in this area of the barn and we wanted to try to salvage some of the bits at least. Show Horse Tack is helping us to rebuild the collection. I will work the rest of my life to repay the kindness I have been shown. The hardest thing about the loss of all those wonderful horses is thinking that I would not honor their memory adequately. 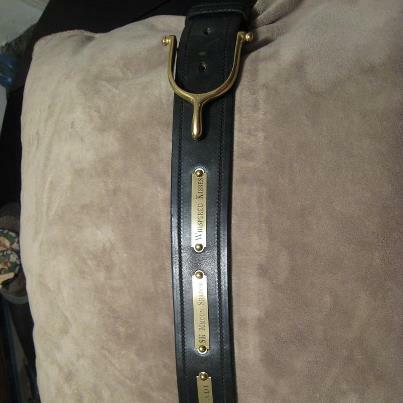 Saddlers Row was kind enough to make me a wonderful belt with all their names on it. They are with me every day, and I miss them every day, but still a part of our going forward. From his first Top Ten awards at the US Nationals in 1972, Richard Wright has bought, sold, and trained some of the most successful horses in the country, and has shown to Top Ten or better a horse in nearly every division available to the Arabian and Half-Arabian horse. In addition to awards that he himself has won he has coached numerous amateur and youth exhibitors to the top in their respective divisions as well as producing numerous National Champion equitation riders. His judging duties have included US Nationals, Youth Nationals, the National Show Horse Finals, and he has judged in Canada and South Africa as well. While a competitive presentation is the goal for his horses and riders, it is his love of the Arabian horse and its beauty that remains the focus of his efforts. Horse industry in the United States for over thirty (30) years. 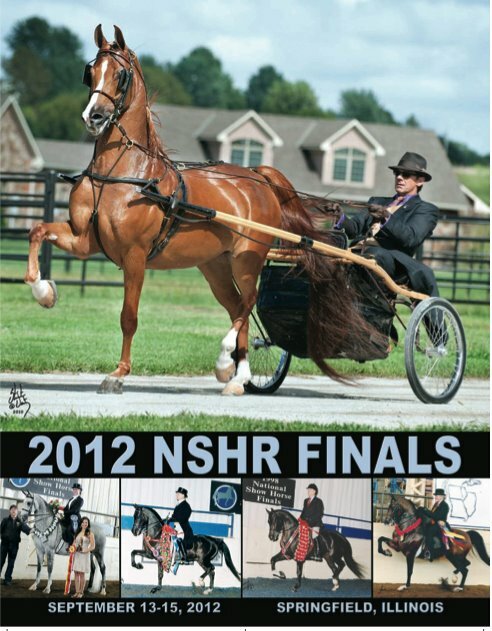 National Show Horse, Morgan, Saddle Seat and Saddlebred competitions. Halter, Park Horse, English Pleasure, Western Pleasure, Country Pleasure, Formal Driving, Pleasure Driving, Country Pleasure Driving, Hunter, Show Hack and Mounted Native Costume. Come along for the ride!! !